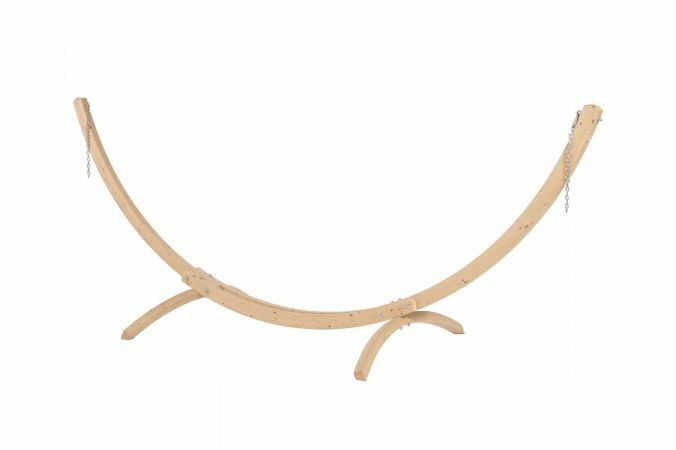 Wood 372cm Large (TWmXXskc_wood372) : Wooden hammockstand. Hammockstand made from European spruce. Large. Medium size. 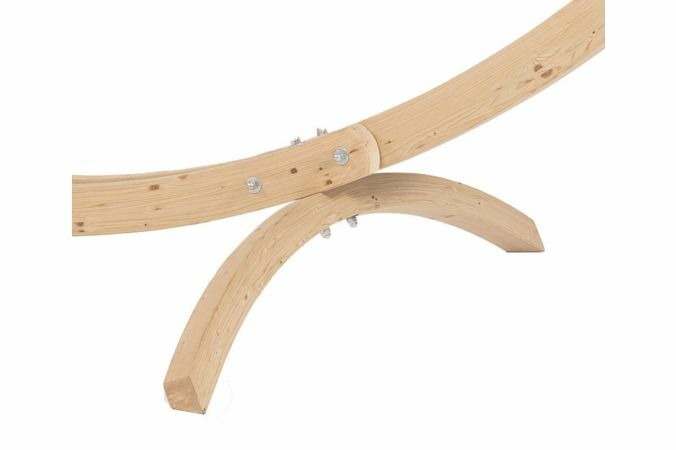 Noble hammock frame carefully handmade from European spruce and weather-proofed. 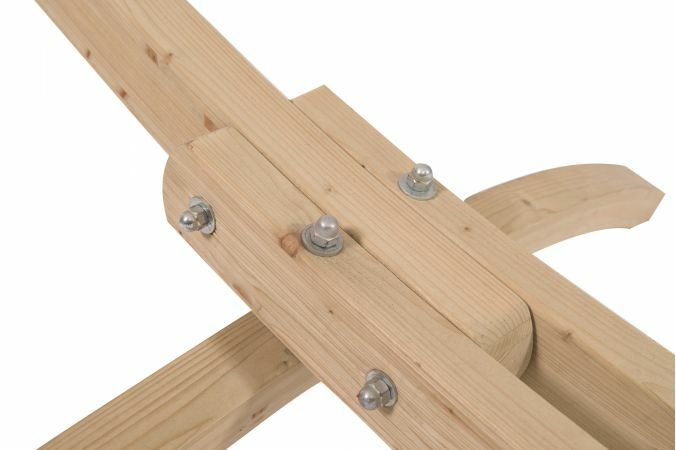 The high quality layered gluing ensures not only a fabulous design, but also greatest stability and safety. Can be easily adjusted for hammocks from 330 to 360 cm in length. 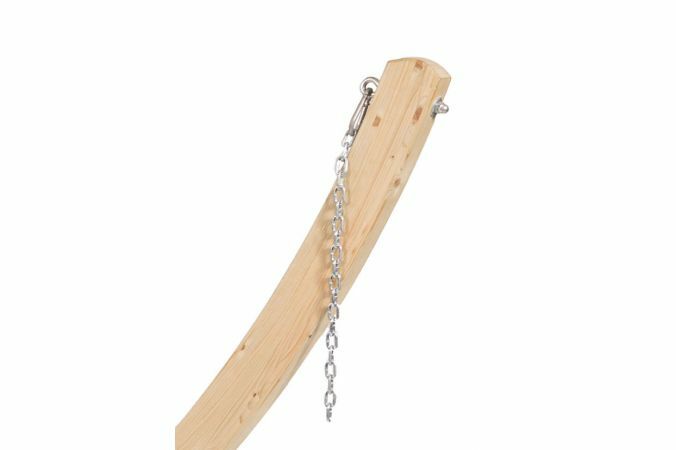 Able to withstand a load of up to 180 kg! 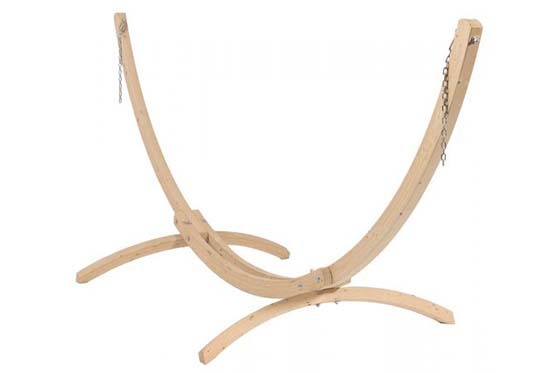 We recommend storing the hammock stand indoors during the winter period.